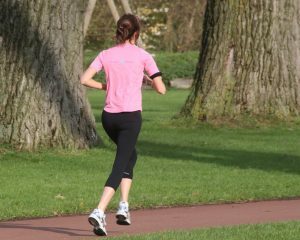 A recent review of several scientific studies by the Department of Orthopaedics at the Warren Alpert Medical School of Brown University has found that being physically active can significantly improve not only musculoskeletal health, but also overall health and well-being as well as minimize the effects of aging on the joints and bones. Their review focused on studies on athletes aged 65 years and older, and their findings suggest that people who stay active throughout middle age and older adulthood can defy the effects of aging on the bones and joints, at least to a certain degree. Particularly, physical activity shows several positive effects on maintaining muscle strength, bone density and ligament and tendon function, thus reducing the risk of orthopedic trauma and helping the body to stay strong and healthy. Based on the reviewed studies, the authors concluded that along with a healthy diet containing all the necessary nutrients, an exercise routine that includes a combination of resistance, flexibility, balance and endurance training is optimal. Moderate aerobic exercise, such as power walking, jogging, cross-country skiing or swimming, has numerous benefits on health and the aging process, including improved cardiovascular and lung function, reduced fat accumulation and enhanced muscle strength. For seniors who are already active, between two and a half to five hours of endurance training a week is recommended, preferably in short 10- to 30-minute sessions. To avoid sport injuries from developing, make sure to always warm up before and cool down after exercising and to stretch thoroughly afterward. Furthermore, know your physical limits and stay within them. Sustained moderate-to-intense resistance training will help increase muscle strength and bone mass and density more than aerobic training alone can do. Moreover, it can help you maintain a healthy fat percentage and reduce the risk of sprains, fractures and other types of orthopedic trauma. In many elderly individuals, fractures, such as hip fractures, may be associated with a permanently reduced level of function and reduced quality of life, so increased muscle mass is especially beneficial in this population. Exercises aimed at improving flexibility and balance are highly recommended in order to reduce the risks of orthopedic trauma and sports injuries, to maintain a good range of motion and to improve balance (thereby further reducing the risk of falling and sustaining fractures or other types of injuries). Of note, the exercise regimen should be individualized by taking into account the baseline fitness of the athlete or non-athlete as well as any other health conditions that may contraindicate certain activities. Based on the review, the authors concluded that keeping active throughout the aging process can help older individuals to not only maintain bone and muscle health, but also to also improve their quality of life. Thus, sedentary older adults would benefit greatly from leading a more active and healthy lifestyle.